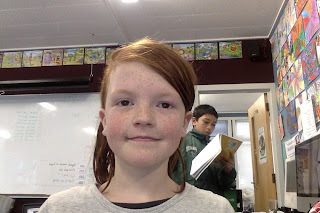 Groovy Grey Lynn Learners: Violet Bio Poem. Lover of sushi, salmon, books. Who feels weird, funny, cool. Who needs friends, fun, love. Who gives friendship, kindness, respect. Who fears my brother, nuclear war. Who would like a WII U. Who comes from Grey Lynn School. Who lives in auckland New Zealand.